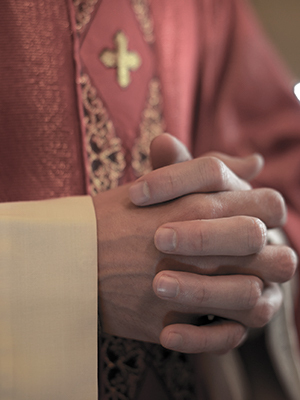 Father Fitzgerald was accused of sexually abusing a minor at St. Brigid Church in Westbury in the mid-1980s and that he was allegedly transferred to a diocese in Florida who was apparently told that Fitzgerald needed to move south due to his “allergies.” In 2002, the Palm Beach Diocese finally stripped Fitzgerald of his ability to work as a priest after multiple complaints of sexual misconduct against Fitzgerald surfaced. Fitzgerald has reportedly been identified as ‘Priest B’ in a Suffolk County Grand Jury report, which alleges that Priest B was caught “wrestling” boys while having an erection and being confronted by another priest about the behavior. The report further alleges that Diocesan officials were aware of allegations of sexual misconduct against Fitzgerald before giving him a recommendation to transfer to Florida.